Deltic D9009 Alycidon or class 55 009 inside the The Deltic Preservation Society Ltd Depot at Barrow Hill in April 2012 in the two tone British Railways green. 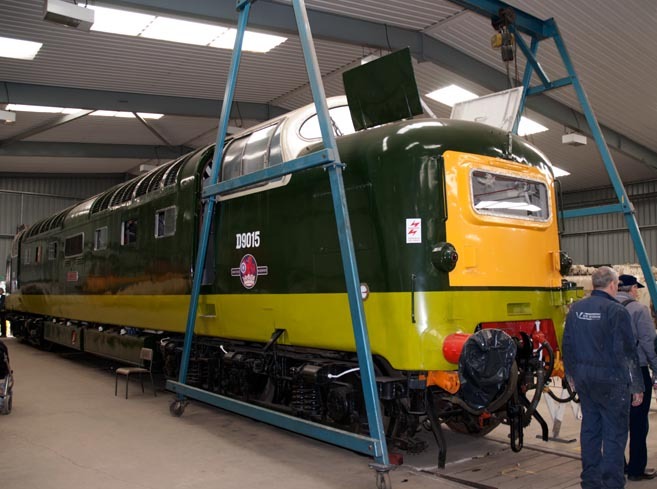 This Deltic number D9015 or class 55 015 Tulyar is currently under going a major overhaul at the Deltic Preservation Society depot which is at at Barrow Hill. 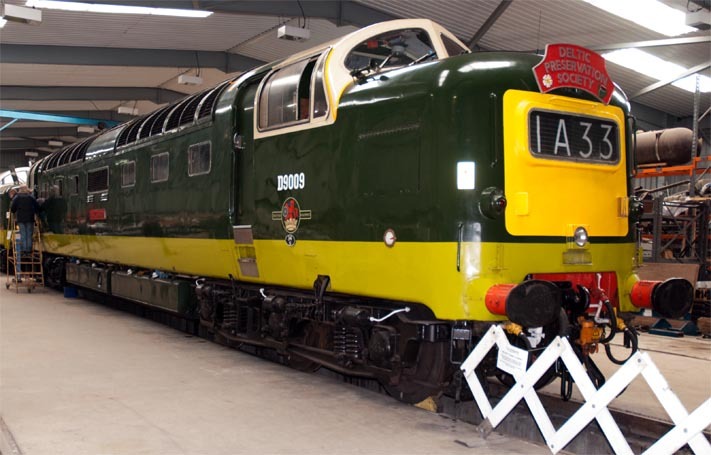 The large Deltic Depot was open during the Fab 4 event in 2012. 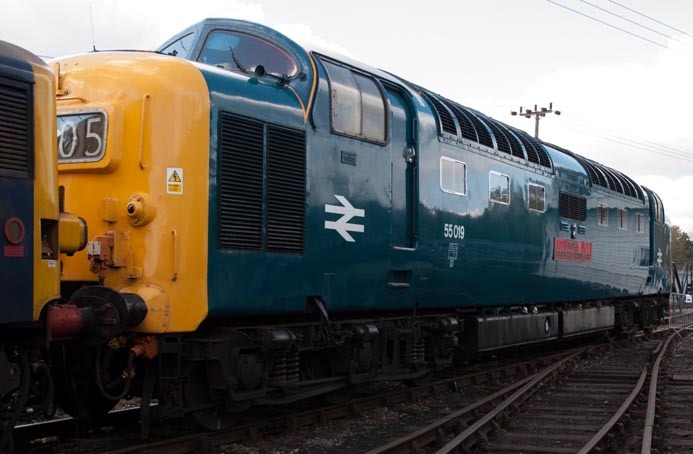 Deltic Class 55019 Royal Highland Fusilier outside at Barrow Hill in April 2012 in British Rail Blue.